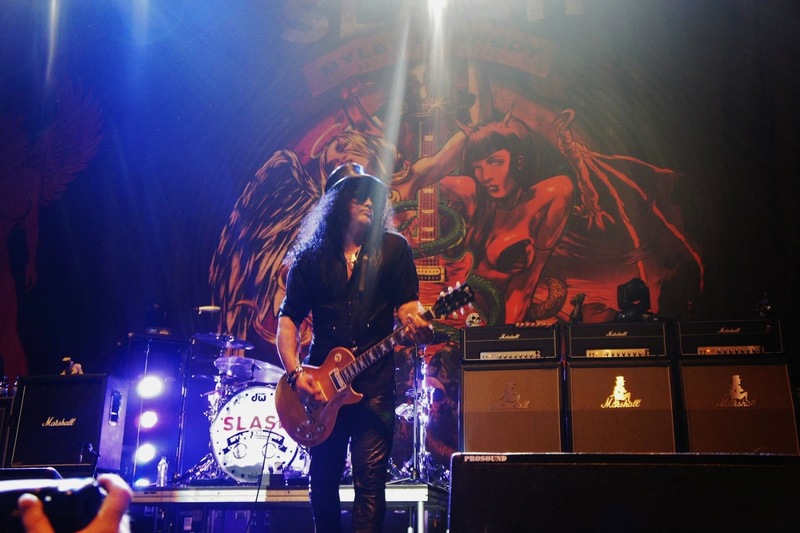 NORTHRIDGE, California – Former Guns N’ Roses guitarist, Slash (featuring Myles Kennedy and The Conspirators) recently played a sold-out show in Poland—at the Spodek in Katowice—with the help of HARMAN’s JBL VTX line arrays. Promoted by Metal Mind Productions, it was the iconic guitarist’s only show in the country. The VTX system has taken off in Poland—as it has across the globe – and providing sound reinforcement was PROSOUND with Music Cook supporting the event and making up the inventory required. The sound design saw hangs of eight VTX V25 fullsize line array elements front-facing on each side of the stage, with 12 VTX G28 subs (stacked vertically in L/C/R blocks of four). These were powered by Crown Audio VRack 12000HD amplification systems. To ensure that the capacity crowd received even coverage wherever they were seated, two hangs of six JBL VERTEC® VT4888DP midsize line array elements were deployed as outfills, with a further eight filling the front rows in the arena to deliver a smooth, 180-degree dispersion pattern. 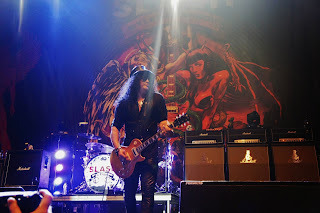 The Katowice show proved a worthy showcase for the band to work through tracks from their new album Apocalyptic Love. FOH engineer, Tim ‘Quake’ Mark, who was mixing the sound on a Soundcraft Vi4 digital console, said he was delighted with the sound setup—as did Music Cook proprietor, Irek Policht. The VTX V25 is a full-size, 3-way, high-directivity line array element, featuring two 2000W, 15-inch Differential Drive® woofers mounted in die-cast aluminum baffles, with four 8-inch Differential Drive midrange transducers and three of the revolutionary D2 Dual Drivers mounted on a 3rd generation waveguide and patented RBI Radiation Boundary Integrator® assembly. The VTX G28 is a dual 18-inch subwoofer, employing two 18-inch transducers featuring Differential Drive technology and is reverse cardioid-arrayable. Providing technical assistance and crewing duties for the two rental companies were Daniel Dybała, Dominik Piasecki, Piotr Gilewski, Andrzej Jach, Sebastian Dudek, Tomasz Bochenek and Marcin Kowalski. HARMAN (www.HARMAN.com) designs, manufactures and markets a wide range of audio and infotainment solutions for the automotive, consumer and professional markets — supported by 15 leading brands, including AKG®, Harman Kardon®, Infinity®, JBL®, Lexicon® and Mark Levinson®. The Company is admired by audiophiles across multiple generations and supports leading professional entertainers and the venues where they perform. More than 25 million automobiles on the road today are equipped with HARMAN audio and infotainment systems. 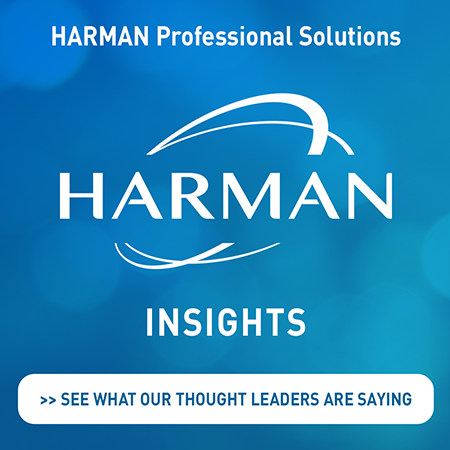 HARMAN has a workforce of about 13,400 people across the Americas, Europe and Asia, and reported net sales of $4.4 billion for the twelve months ending June 30, 2012.